Two-time Grammy Award-winning rock band Evanescence kicks off their spring headline tour at Hard Rock Event Center at Seminole Hard Rock Hotel & Casino in Hollywood, Fla. Sunday, May 5, at 7 p.m. Tickets go on sale Friday, Feb. 8, at 10 a.m. Fans can also access presale tickets beginning Thursday, Feb. 7, at 10 a.m. through Seminole Hard Rock Hollywood’s Facebook and Twitter pages. This tour is a follow up to the group’s massive 2017 and 2018 “Synthesis Live” tours that featured a powerful live orchestra and received rave reviews nationwide. The upcoming run marks Evanescence’s return to their signature rock shows, revered by fans across the globe. The band’s newest album, “Synthesis,” features two new Evanescence songs in addition to fan favorites re-imagined with a live orchestra and electronica. The record debuted at No. 8 on the Billboard Top 200 and was also the No. 4 Debut Top Album, No. 11 Debut Independent Album, No. 1 Current Rock Album and No. 1 Debut Rock Album. The album also received critical acclaim from “Rolling Stone,” “Paste,” “Nylon,” “Loudwire,” “Kerrang!” and more. 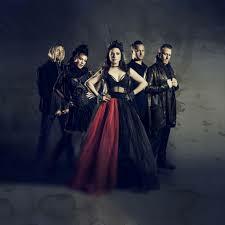 Evanescence is composed of Amy Lee (lead singer-songwriter and keyboardist); Tim McCord (Bassist); Will Hunt (drummer); Troy McLawhorn (lead guitarist) and Jen Majura (guitarist and backing vocalist). Tickets cost $90, $70, $50 and $40. All seats are reserved and available at all Ticketmaster outlets, online at www.myhrl.com, www.ticketmaster.com or charge by phone: 1-800-745-3000. Explore the new Hard Rock Event Center with a 360-degree virtual seat map of the venue at www.myhrl.com. Doors open one hour prior to show start time. Additional fees may apply.